At least 34 people have been confirmed dead and more than 230 people have been injured in Tuesday’s terrorist attacks in Brussels, Belgium. 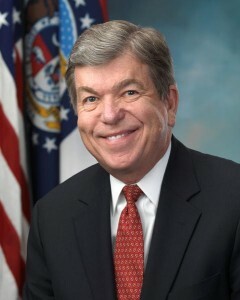 Senator Roy Blunt (R-Missouri) said the attacks stress the importance of controlling the borders. “We clearly know that the attack in Paris had people that came in as part of this wave of recent immigrants into Europe. I think they’re going back and questioning their strategy, their open border strategy as well as their open arm strategy,” said Blunt. Thousands of refugees from Syria and Iraq have been settling in countries including Belgium in recent months. Republicans in Congress oppose President Barack Obama’s plan to allow about 10,000 Iraqis and Syrians to settle in the U.S.
Blunt also said the U.S. has to stand strong to protect America’s allies, including Belgium. ISIS has claimed responsibility for the attacks, which took place at Brussels’ airport and subway systems.